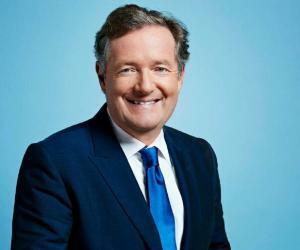 Piers Morgan is a British TV journalist who presents the show ‘Good Morning Britain.’ Check out this biography to know about his birthday, childhood, family life, achievements and fun facts about him. Piers Morgan, born as Piers Stefan O'Meara, is a British journalist and TV personality who currently serves as a presenter of the shows ‘Good Morning Britain’ and ‘Piers Morgan's Life Stories’. He also works as the editorial director of the British children newspaper ‘First News.’ He is the winner of the 7th season of the US version of ‘The Celebrity Apprentice’ and has also served as a judge on ‘Britain's Got Talent’ and ‘America's Got Talent’ in the past. He has authored several books, including four volumes of memoirs. Born in Newick, Sussex, England, Morgan had a hard time as a child. He lost his father when he was still an infant and his mother later remarried, after which he took his stepfather's surname, becoming Piers Pughe-Morgan. He had to attend a local comprehensive school after his family could not send him to an independent school. While at school, he had a tough time fitting in and was even bullied. Despite all the hardships, Morgan successfully pursued a career in journalism. Starting small, he worked hard to become one of the most sought after journalists in his country. He is also known to be a controversial media personality and has been involved in numerous feuds with famous celebrities. Piers Morgan was born as Piers Stefan O'Meara on March 30, 1965 in Newick, Sussex, England. 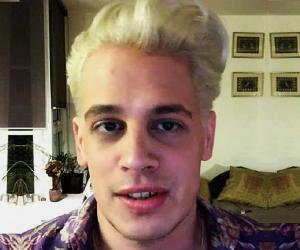 His father Vincent Eamonn O'Meara was an Irish-born dentist who died when Piers was an infant. After her husband’s death, Morgan’s mother, Gabrielle Georgina Sybille, remarried and he took his stepfather’s last name, thus becoming Piers Stefan Pughe-Morgan. From the age of seven to thirteen, he studied at the independent school Cumnor House. Morgan then went on to attend the comprehensive secondary institution Chailey School after his pub owner parents eventually ran out of money. At the comprehensive school, he was bullied and even beaten up by his classmates. He then attended Priory School before studying journalism at the Harlow College. Piers Morgan began his journalistic career in the 1980s. After working at Lloyd's of London for a brief period, he started out as a reporter at the Surrey and South London Newspaper Group where he worked for the South London News as well as the Streatham and Tooting News. He was then recruited by ‘The Sun’ as an entertainment editor. There he got the opportunity to hold his first ever high-profile post as the chief writer of "Bizarre,” the newspaper's show business column. In 1994, Rupert Murdoch appointed Morgan as the editor of the ‘News of the World.’ Upon his selection, Morgan became one of the youngest editors of a national British newspaper. He then joined the ‘Daily Mirror’ as an editor. He worked there until 2004 when he was fired in the wake of the Abu Ghraib torture scandal. He had published photographs that showed British soldiers abusing Iraqi convicts; however, the pictures were later proven to be fake. After losing his top post at the ‘Daily Mirror,’ he decided to recreate himself as a media personality and gained ownership of the media trade publication ‘Press Gazette’ in 2005 in partnership with Matthew Freud. Later, the publication entered administrative receivership before being sold to a trade buyer. Morgan then launched ‘First News’ on 4 May 2006 and began working as the editorial director of the weekly children’s newspaper. Piers Morgan's television career began after his departure from the ‘Daily Mirror.’ In 2003, he presented BBC’s three-part television documentary series titled ‘The Importance of Being Famous’. 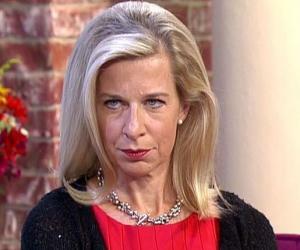 He then co-hosted his own interview show on Channel 4 alongside Amanda Platell. The show was cancelled after three series due to poor ratings. It was also reported that Channel 4’s chairman Luke Johnson didn’t like the program. Throughout 2006, the British journalist served as a judge on the reality show ‘America's Got Talent’ where he was joined by David Hasselhoff and Brandy Norwood. In 2007, he appeared as a celebrity contender on ‘Comic Relief Does The Apprentice’. The same year, Morgan joined the 2nd season of ‘America's Got Talent’ as a judge. He also appeared as a judge on ITV’s ‘Britain's Got Talent’ alongside Simon Cowell and Amanda Holden. During that time, he presented BBC One’s ‘You Can't Fire Me, I'm Famous’ as well. Morgan presented ‘Piers Morgan on Sandbanks’, a three-part documentary for ITV, in January 2008. On 8 September 2008, he was featured in the show ‘The Dark Side of Fame with Piers Morgan’. The following year, he began working on the series ‘Piers Morgan On’ as well as ‘Piers Morgan's Life Stories’. In 2010, ‘Piers Morgan On’ returned for a second season. In September that year, CNN announced that Morgan would soon start hosting his own show ‘Piers Morgan Live’. The show ran from January 2011 till early 2014. From 13 April to 17 April 2015, the British journalist guest-hosted ‘Good Morning Britain’ on ITV. He became a permanent co-host in November that year, appearing alongside Charlotte Hawkins and Susanna Reid. In 2016 and 2017, he interviewed female killers on the show ‘Killer Women with Piers Morgan’. During this time, Morgan also hosted ‘Serial Killer with Piers Morgan’ on ITV. In 1996, Morgan appeared as a guest on the news quiz ‘Have I Got News for You’. During the shoot, show regular Ian Hislop accused him of having him followed as well as keeping an eye on his house. The conflict escalated between the duo and one of the guest panellists Clive Anderson even had to confront Morgan and tell him to behave. In 2007, Hislop chose Piers Morgan as one of his pet hates on his series ‘Room 101’. During the series, he discussed the history of their animosity. He also stated that Morgan had attempted to quell their dispute via an article in ‘The Mail on Sunday,’ saying that the war from his end was over. In October 2003, TV personality and journalist Jeremy Clarkson emptied a glass of water over Piers Morgan during the last flight of Concorde. 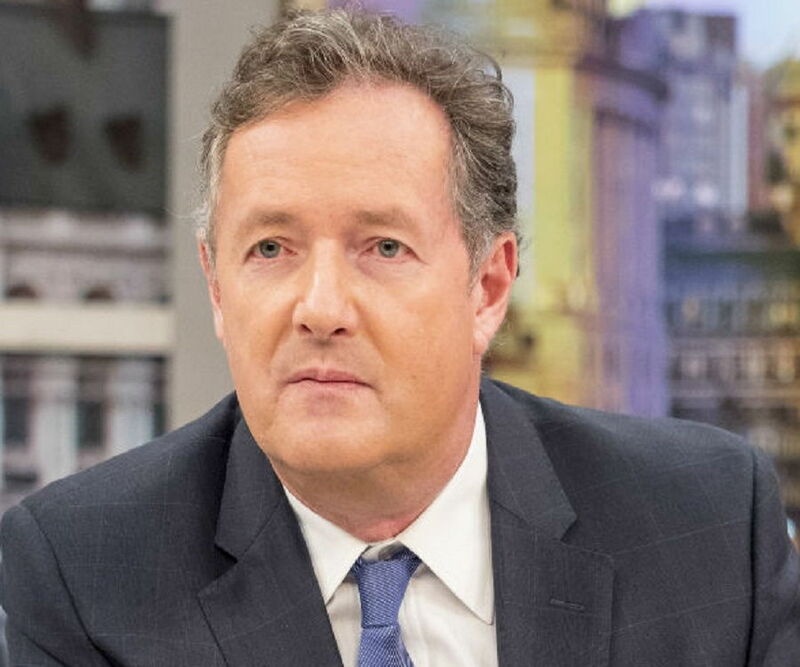 The following year, at the British Press Awards, Clarkson hit Morgan three times in a conflict over The Mirror's coverage of the former’s private life and accusations that he did not pen down his column in ‘The Sun’ himself. 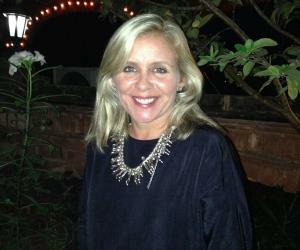 Following the interview, Mock send numerous tweets criticising the British presenter for describing her as being "formerly a man". To this, Morgan responded by saying that he has never ever been treated in such a discreditable manner by a guest. On 5 February, Janet Mock again appeared as a guest on the show to debate the dispute. Piers Morgan has a bitter relationship with Madonna; he claims that he was once lied to by the singing star’s publicist. In 2012, it was reported that the British journalist had banned popular actor Kelsey Grammer from his show. The rift between the duo developed after Grammer was shown a picture of his ex-wife on Morgan’s show despite having specifically told not to. Morgan has also banned Hugh Grant whom he once called names on Twitter. In 2008, Piers Morgan won the US version of ‘The Celebrity Apprentice’ hosted by Donald Trump whom he described as his close personal friend. He even predicted Trump’s election as the president of the country. In 2016, he interviewed Donald Trump on his show ‘Good Morning Britain’. In January 2017, Morgan appeared on ITV's show ‘Loose Women’ where he was challenged to repudiate Donald Trump. Despite stating that he didn’t agree with Trump on certain subjects, Morgan refused to repudiate him. In 2011, in a sequence of articles, blogger Paul Staines alleged that during his tenure as the editor at the ‘Daily Mirror,’ Morgan published a story regarding the affair between Ulrika Jonsson and Sven-Goran Eriksson, which he knew had been acquired by phone hacking. On 20 December 2011, the journalist stated he didn’t believe that any phone hacking occurred while he was in charge at the Mirror. Though he confessed to hearing a recording of a message left for Heather Mills by Paul McCartney, he denied any personal involvement in the practice of phone hacking. In 1991, Piers Morgan married Marion Shalloe. The duo had three sons before divorcing in 2008. Morgan then remarried writer Celia Walden in 2010. The couple has one child as of now.